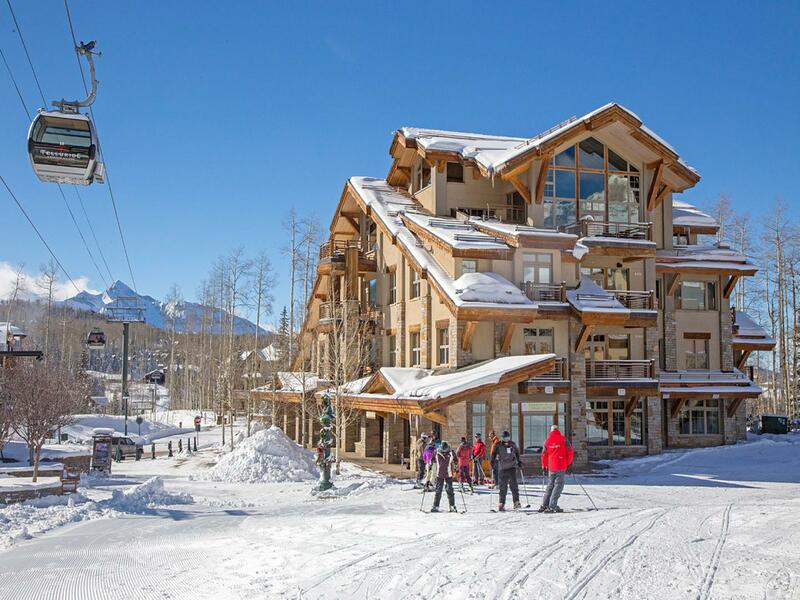 Located at the base of an internationally renowned ski mountain, in the heart of the Telluride Mountain Village, this multi-use building provides commercial spaces, residential condominiums and convenient underground parking amidst a centralized pedestrian plaza. The scale of the building, regardless of its' 33,000 sq.ft. overall, remains in context due to the use of multiple outcroppings of decks, dormers and rooflines. A unique selection of materials and finishes compliments the outstanding design of the structure and the interior design details. 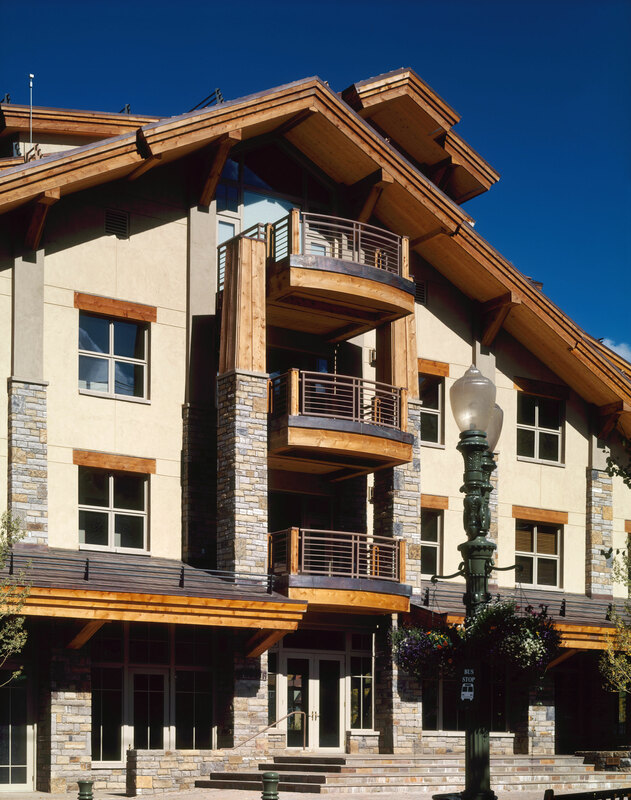 Cherry cabinetry in the kitchens and baths, stone and marble flooring and a mixture of amenities offer the best in comfortable yet luxurious mountain living. 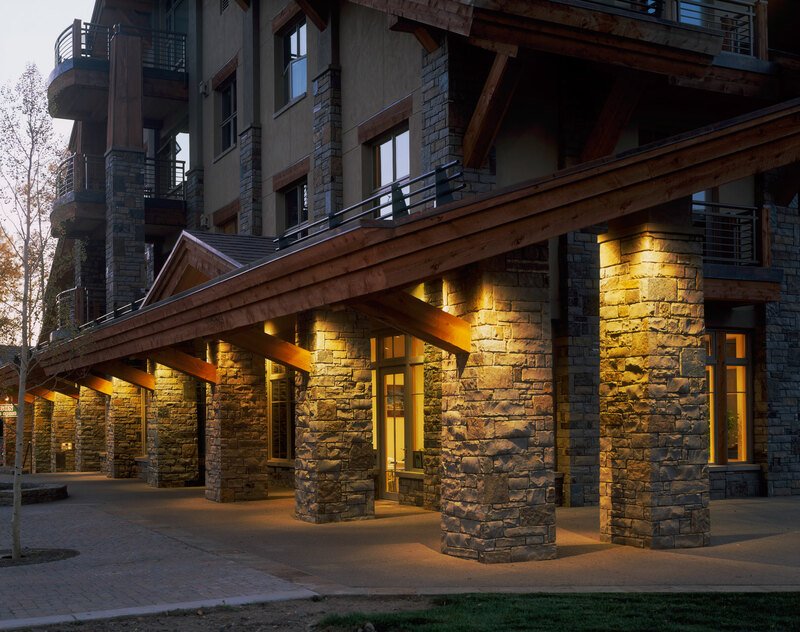 The radiant infloor heating system provides efficient, consistent, cost effective warmth. 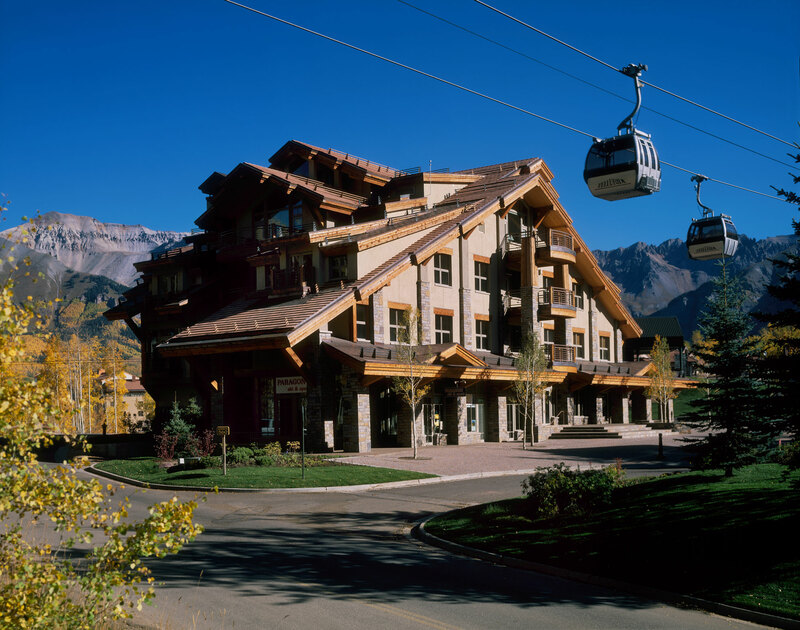 Designed with a "Grand Mountain Chalet" vernacular in mind, the architectural character of the building contributes to the ambiance intended by the Mountain Village developers.